The makers of Total Dhamaal released the first track from the film titled Paisa Yeh Paisa. The song is a recreation of Kishore Kumar’s chartbuster song from the ’80s Paisa Yeh Paisa from the film Karz, originally composed by Laxmikant-Pyarelal. The new version features the dynamic cast of Total Dhamaal which includes Ajay Devgn, Anil Kapoor, Madhuri Dixit Nene, Riteish Deshmukh and Arshad Warsi among others. Paisa Yeh Paisa sees all the actors chasing money while they sing their praise for it. Set in a colourful, glamorous world of money, the song depicts Madhuri Dixit centre stage. The megastar Madhuri looks resplendent in shimmery gowns as she dances to the fun and peppy track. The vibrant dance number has been recreated by Gourov-Roshin, and sung by Dev Negi, Subhro Ganguly and Arpita Chakraborty. 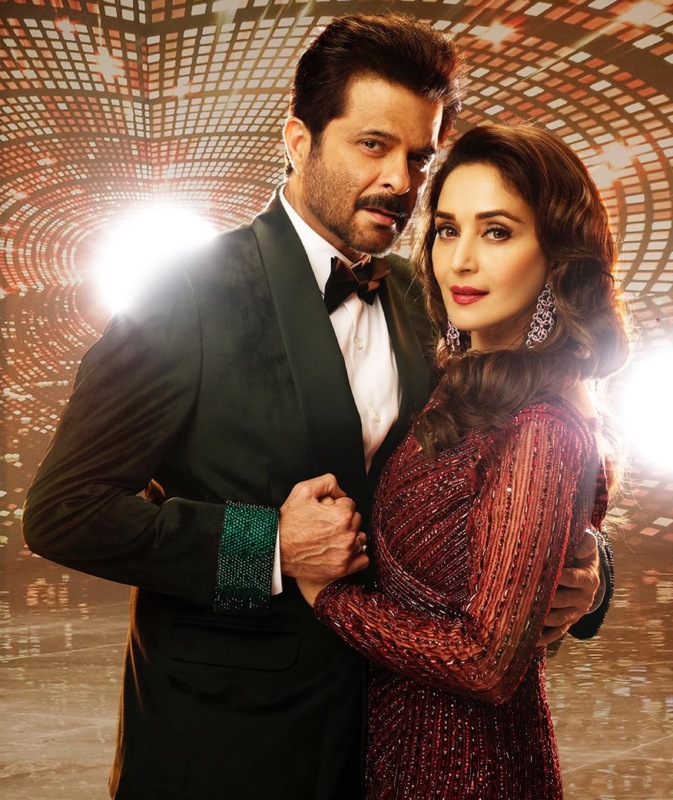 To see Madhuri Dixit and Anil Kapoor dancing to this peppy track is definitely a treat for every bolly-fan! Total Dhamaal is the third installment ofthe famous Dhamaal franchise. Presented by Fox Star Studios in Association With Ajay Devgn Films & Maruti International, the Anil Kapoor, Ajay Devgn, Madhuri Dixit, Arshad Warsi and Riteish Deshmukh starrer looks set to be hilarious as it promises to take audiences on a wild adventure. The star cast also includes actors such as Esha Gupta, Boman Irani, Johnny Lever and Javed Jaffrey in pivotal roles. 15 queries in 0.321 seconds.